How do you mix your BANDITS?  Find your favourite Bandits Distillery cocktail recipes below. Most anyone can open a bottle of wine or a can of beer. Those who drink spirits like Bandits Moonshine or Bandits Red Coat Gin or Bandits Northern Lights Vodka, it can be easy to get stuck in a rut of mixing Bandits with Coke or Sprite. Below is our growing collection of drink recipes to broaden your horizons. 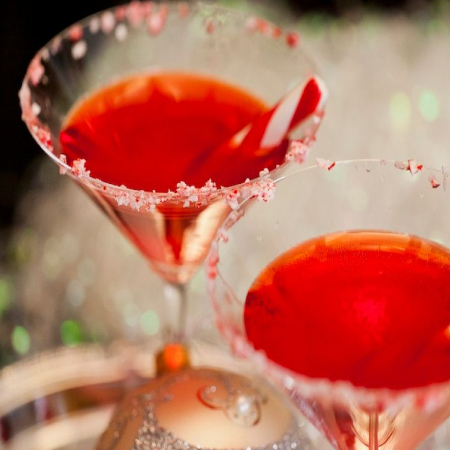 Drink recipes for punch drinks for your next gathering and recipes for drinks that fit your mood and celebration. Check back often for new recipes. Do you have your own concoction to share? We would love to share it. Use Bandits RED COAT GIN to produce amazing beverages. Add the gin, then the tonic water, then the lime juice, stirring well. Garnish with lime wedge, and serve immediately. Note: To make the tonic water ice cubes, simply fill an empty ice cube tray with tonic water, and let the cubes freeze. It takes just a few hours. Add cranberry sauce to a cocktail shaker with the gin, lime juice, and bitters. Add ice, shake for at least 30 to 45 seconds. Strain through a mesh strainer into a chilled coupe glass. Smack a sprig of rosemary between palms to release aromas and drop on top of the cocktail. Share your drink recipe with us to share with our fans. Sown, Grown, and Bottled in Saskatchewan. A distillery built on a foundation rooted in over 100 years of farming life in Saskatchewan. Our research into the world of moonshine, vodka, gin and whiskey products spans from the Deep South to Russia, with a quest to find top-methods of distilling from the legends. We are home and sharing our unique spirits with unforgettable flavours that are comparable to the best in the world. Our distillery is infused with country values and a strong work ethic to make a living. 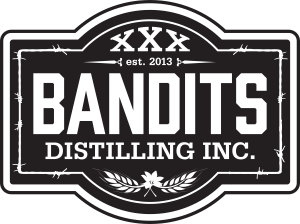 Bandits Distilling uses it’s very own highest quality homegrown grains along with those of local suppliers. 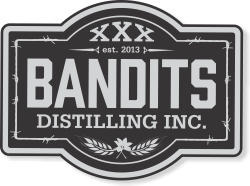 Bandits Distilling … Sown, Grown, and Bottled in Saskatchewan.